Custom Made Furniture From Indonesia ? Custom made furniture from indonesia can be a perfect options for you small furniture store owners and or personal project owner, But why…? Well…first of all, indonesia are well known for its high quality natural resources, we are talking about lumber here, teak and mahogany grow in indonesia are one of the best in the world, so you will get best quality material when you made your custom design furniture in indonesia. Other wood species are abundant in our forest, you know that indonesia have one of largest tropical forest right ? it may sound rude to our nature but lets use our common sense that wood or tree are highly renewable. All we have to do is manage ratio between planting and cutting. we have the rule to obey. 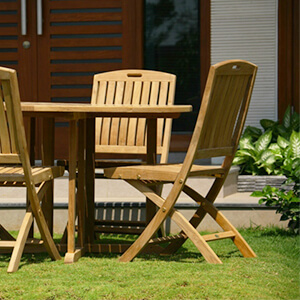 Second reason are experience, Indonesia have a long history of furniture manufacturing and hand carving industry. means you dont have to worry about quality of your products due to poor workmansip. Our indonesian furniture factory based in jepara city which well known for stunning wood carving skill also give us extra benefits of designing and manufacturing custom design furniture. 1. Give us information of how your furniture will look like, in this case we need to start a discussion. emails are still best way to do this. information can be a picture preference or video of the furniture you would like to made. this is our start point to produce your custom made furniture. you also want to show us measurement, purposes of the furniture and also another detail for us to decided what best for those purpose and give you ideas and suggestions. 3. We discuss the drawing, After drawing is complete, we will need to discuss that with you. this process sometimes can take several time back an forth revision. well it is depend or how complex your requirement really are, for simple design, one time drawing are enough most of the time. Revision are very welcome to prefent mistake in future productions. 4. Production, After all approved, we will start to produce your furniture. production time are various depend on how complex your design are. for simple design we usually take 60 days and more for complicated furniture design. heavy carving furniture will take more time to produce compare non carved one. When master sample approved by customer and our quality control, mass production of the component can be done. Quality control department must approved that it is in the right size and no defect on the component. Assembly process can start when we have ready component. Quality control department must approved that it is strong and proportional as the master sample. Packing. Quality control department must approved that nothing goes wrong or left behind. Sending your products. Quality control department must approved containers condition, is it good enough to use or not. As you can see, all step of manufacturing custom made furniture from indonesia are well managed under quality control department watch to make sure no mistakes. they are the key to producing high quality furniture.